If you were accosted early this morning under the bridge or outside Worcester Park station, that was us... When I say us, I mean Gino Marotta, Steve O'Connell and me gathering petition signatures to persuade Boris Johnson (you know that guy who's Mayor of London) to support having the planned Crossrail 2 trains call at Worcester Park rather than the current plan, which is for trains to run from Motspur Park directly through to Epsom without stopping here. 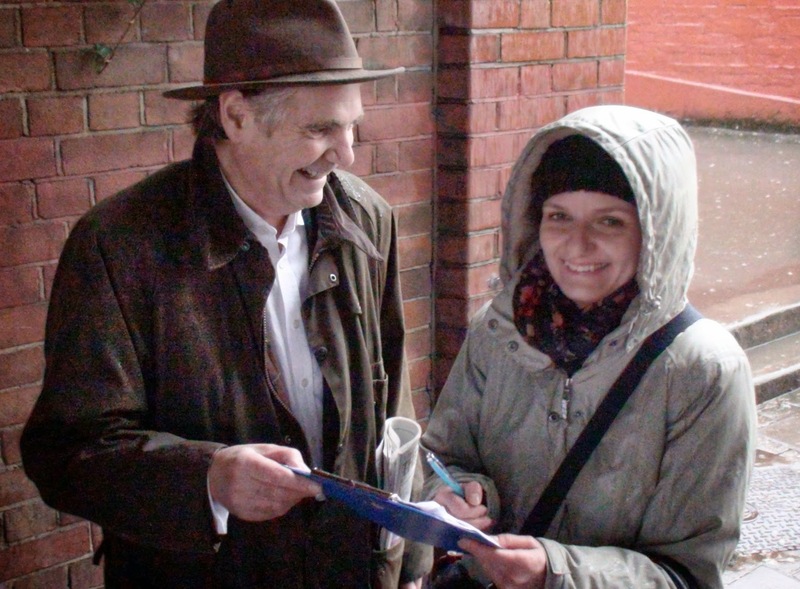 And judging by the number of pages of signatures we ended up with, most people agree with us that this is just a daft idea and that the trains should call at Worcester Park on their way through. 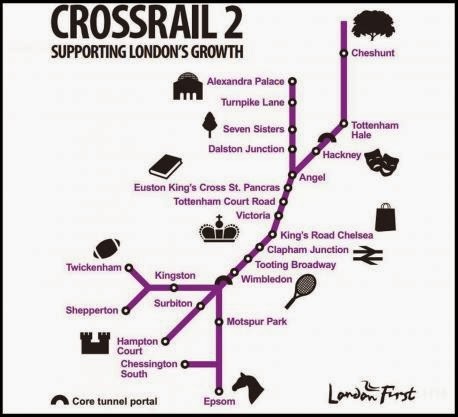 Boris Johnson launched the Crossrail 2 consultation in May last year; and this part of the campaign is now drawing towards it's close. Steve O'Connell, who is Sutton's (and Croydon's) London Assembly member (basicaly one of 25 people who hold the London Mayor to account) will be presenting the petition to Boris Johnson next Wednesday (15th January) so we only have another week for people to sign. If you are one of those who had to rush past because the train was coming, worry ye not; there is an electronic version of the petition you can sign here. You can also sign it at the kiosk at Worcester Park station when you buy a paper and while you wait for a coffee, and many shops in Central Road have a copy of it which you can sign. You can see the full list at the bottom of this page.